There are lots of plugins to organize or sell events on a WordPress website, but it’s less obvious how to create WordPress password protected events. Today, I’m going to tell you how to use Password Protected Categories to protect events. This is an easy-to-use plugin that lets you password protect events based on their category. It works with any WordPress events plugin, whether you’re using Events Calendar Pro, Event Espresso, WP Events Manager, or something else. Create a password protected event on your WordPress site today! What is Password Protected Categories? Password Protected Categories is a WordPress plugin developed by ourselves at Barn2 Media. It provides an easy way to hide and password protect any type of category in WordPress. The plugin works with any WordPress custom post type, including Events. This means that you can use it as a WordPress password protected events plugin. You can list events in the public areas of your website, but require a password before users can view the event detail page or make a booking. Another option is to list public courses or events in the public parts of your website, and create 1 or more private event categories that only people with the password can view. These will be hidden from public view – people in the public parts of your site will never know that your private event listings exist. Alternatively, you can put all your events within 1 or more hidden event categories. This hides the entire events section of your website, while your normal web pages (Home, About, Contact, Blog, etc.) remain public. Finally, you can create private event categories which only logged in users with the correct privileges can see. 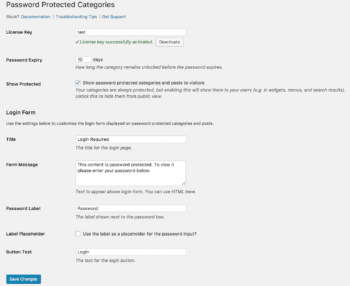 Create a private or password protected events category in WordPress. It will instantly hide and protect all the events in the category and its sub-categories with the same password. This is much easier than password protecting individual events. It’s more user-friendly because people only have to enter 1 password to unlock the entire category and all its events. See password protected event categories in action on our plugin demo page. Why would I want to password protect events? Some people use a WordPress events booking website to promote events which are available for everyone to view and book. Others create a private events website to advertise events that only pre-approved people can access. A company or organization might want to create a hidden events area on their website to list staff-only events or workshops. Training companies might offer training course dates to employees of a specific organization. They can list these events within a hidden password protected events category. 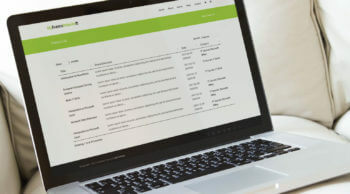 Employees can enter the password to view the dates that are available to them, and make a booking without the public knowing that these events exist. 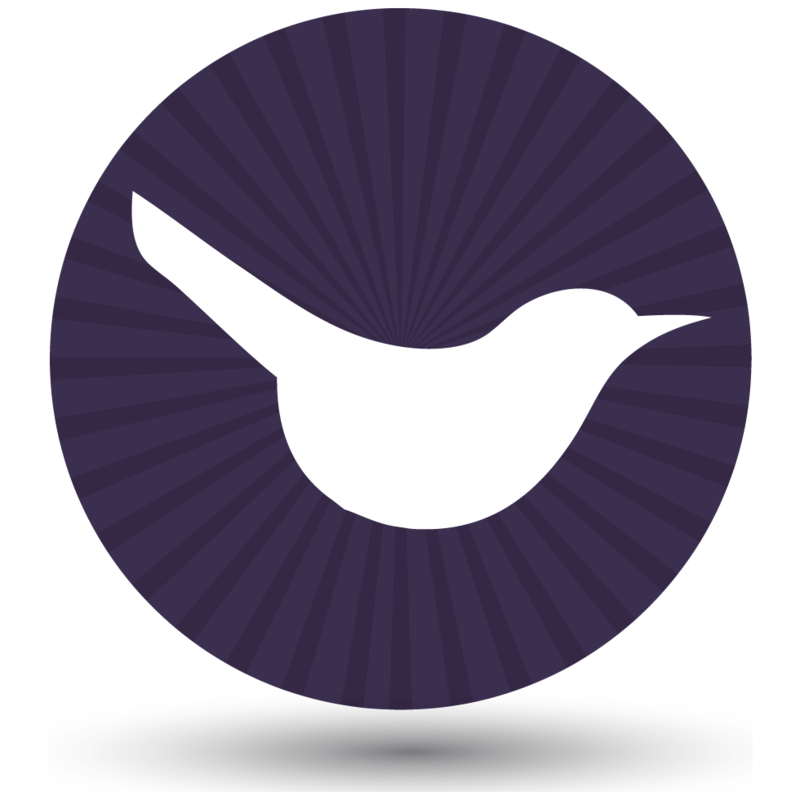 A members-only events site (e.g. a membership club or speed dating site) can use password protected events categories to take bookings for their events. Only people with access to each type of event can view them and make a booking. Some websites list all their events publicly, but only pre-approved people can actually place a booking. When you click on an event, you are prompted to enter a password. This is a good way to recruit people into a club or membership organization, as they must join in order to book an event. And of course, you can password protect events in WordPress even if you don’t take bookings via your website. The important thing is that the event pages are private. It doesn’t matter whether or not you accept bookings or if people can just turn up on the day. Which WordPress events plugins does Password Protected Categories work with? The plugin must have a custom post type which is used to store events. This applies to nearly all WordPress events plugins. If your events plugin has created a section called ‘Courses’, ‘Events’ or similar in the left hand side of the WordPress admin, then this means that there’s a custom post type for events. The events custom post type must come with categories (also known as hierarchical taxonomies in WordPress). You can check this by looking under the ‘Events’ link in the left hand side of the WordPress admin. If there’s a ‘Categories’ link, then this will work with the Password Protected Categories plugin. This list is not exhaustive and it will actually work with most events plugins. If you’re not sure, add a comment below and I’ll check, or you can test it with Password Protected Categories and use our 30-day money back guarantee if there are any problems. Go to Settings > Protected Categories and enter your license key. Choose your settings, such as the text for the password entry form. You can also choose the number of days before each user must re-enter the password to continue accessing the password protected events categories. Tick the ‘Show Protected’ box to display your password protected events in the public parts of your site. (This means that people can see your protected events, and will be prompted for a password when they try to view the single event page.) Leave it unticked if you want your protected events to be completely hidden from public view. 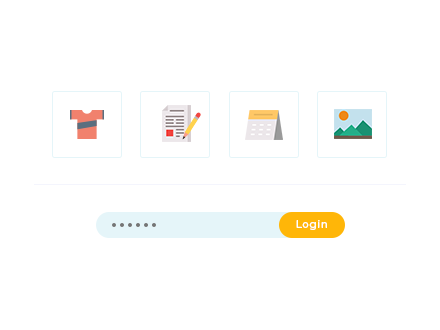 Add the shortcode [category_login] anywhere on your site to create a category login form. When someone enters a password on this page, the plugin will automatically direct them to the correct events category. Can I protect multiple event categories with the same password? Yes, you can create more complex event category structures, all protected by a single password. To do this, you need to create a single password protected ‘Parent’ category and password protect it. Next, add as many sub-categories as you like. Leave them set to ‘Public’. The plugin will automatically protect the password protected sub-categories and their events with the same password as the parent events category. Users can enter the password once and the entire section will be unlocked for them. Once they’re in, they can navigate between multiple events as needed. I’ve written this tutorial for people who already have a WordPress events plugin set up on their site. If you haven’t got this far, don’t worry. I recommend The Events Calendar plugin as the best way to create events in WordPress. You can use the free plugin to list events for information, or combine it with the Pro plugins from the same company to take bookings online with WooCommerce. If you don’t know how to do this, I’ve created an online course and e-book about how to create a WordPress events website using these plugins. It covers everything you need to know. Does the plugin change my event layouts? Password Protected Categories is a simple plugin to protect and hide any or all of your WordPress event categories. If you want to change the way your events are displayed, then I recommend our Posts Table Pro plugin. 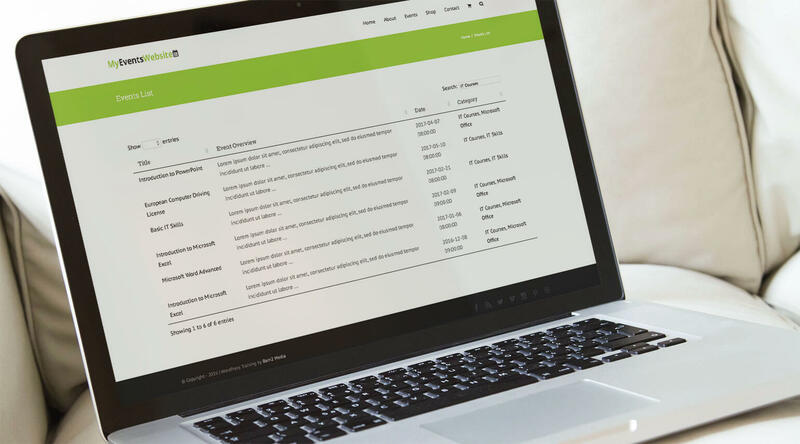 Posts Table Pro is a WordPress table plugin. Unlike most table plugins, it takes any type of WordPress content and lists it in an interactive table view with filters. It’s ideal for listing events in a table because the table layout is perfect for displaying events. The table plugin lists each event date on a separate row of the table. You can show whichever columns of data you’d like, such as event image, name, description, date etc. Check out our tutorial on how to create a table of events with Posts Table Pro and The Events Calendar plugin. If you’re using a different WordPress events plugin such as Event Espresso then the instructions are similar. The only difference is that you need to use the name of the events post type created by your plugin instead. So, now you know how to hide and password protect event categories – regardless of which WordPress events plugin you’re using. Next, it’s time to put it into practice. 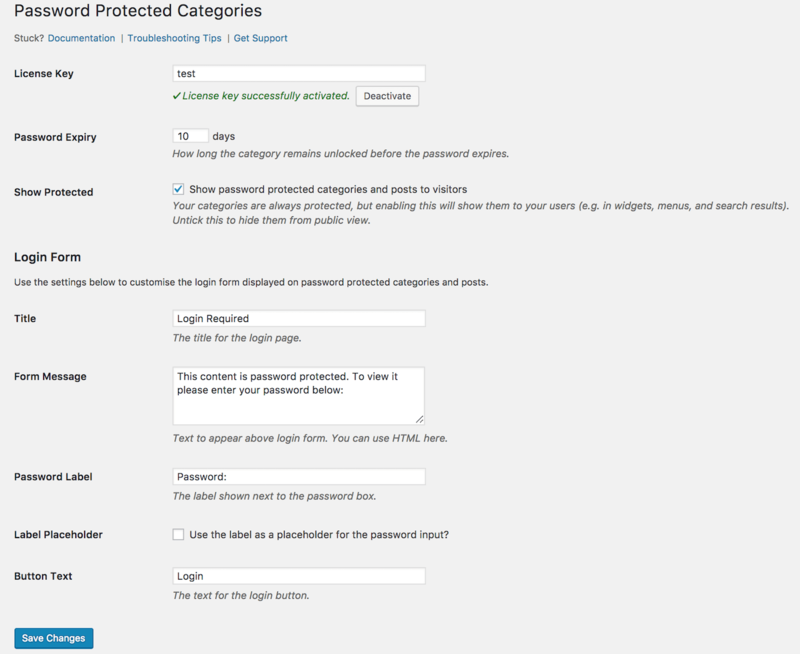 Download Password Protected Categories and use it with your chosen WordPress events plugin. It just takes a few minutes to set up and will instantly hide all the courses or events in your protected categories. Password Protected Categories comes with an in-depth knowledge base and full support from us at Barn2 Media. It comes with everything you need to get your password protected events up and running, so try it today.